"Feliz Navidad" from Cholita to you and yours. 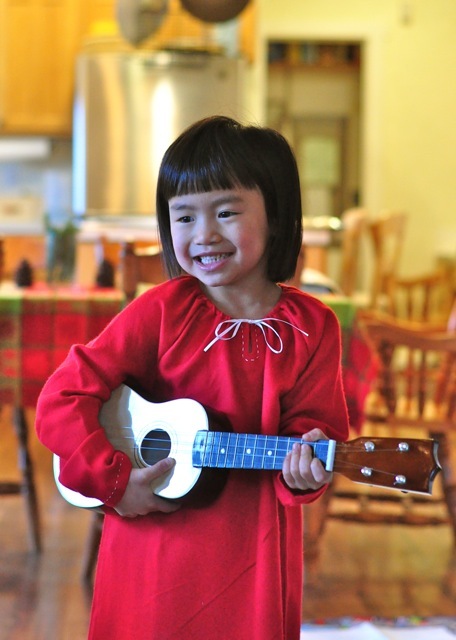 Believe it or not, a ukulele was top on her wish list. 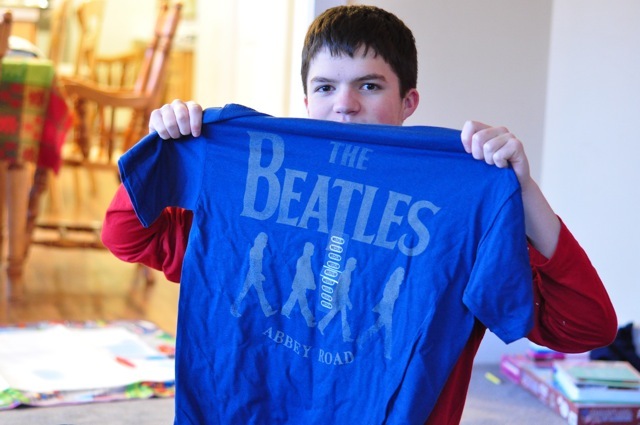 in addition to the Beatles t-shirt from Lucy. 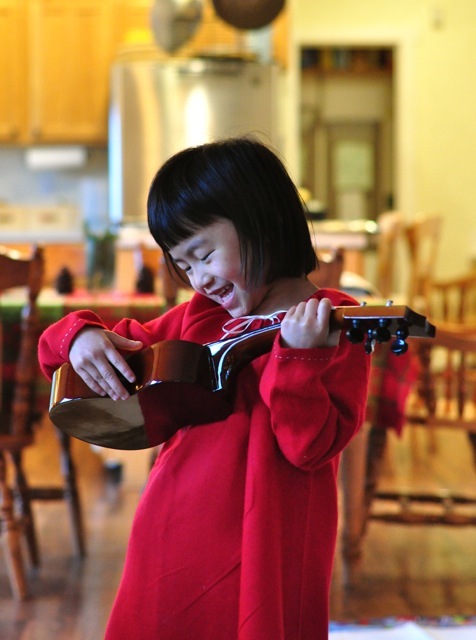 she will be picking up her rented cello next week and begin lessons in the new year. I envision a cello/ukulele duet in the future. 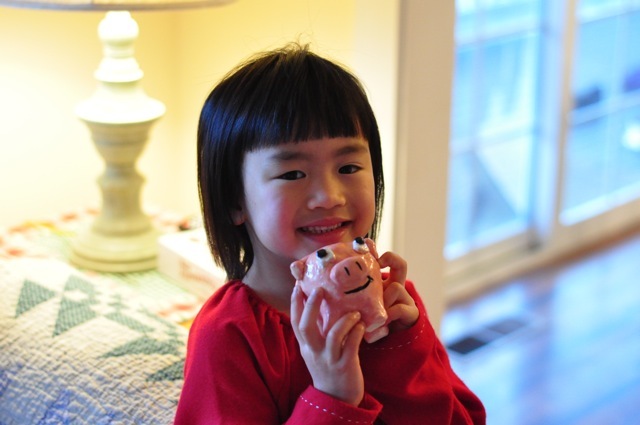 The handmade gift this year came from Lucy in the form of a piggy bank for Cholita. Love that piggy bank! Merry Christmas. PS The red PJs are so nice too. Did you make them? 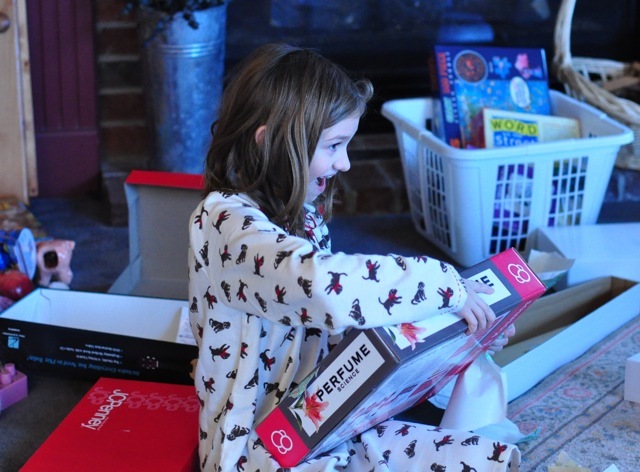 Looks like a great Christmas for some talented children. Merry Christmas! In my younger days of motherhood, I made all the Christmas Eve jammies. Not now. Land's End. What about Rose??? What instrument did she receive?? 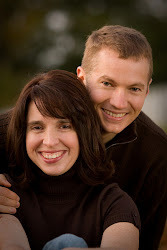 Hip Hip Hooray for LOA!